Australia and the EU need each other. The EU, Australia’s largest services trade and investment partner, supplies the business services that drive a knowledge economy and provides the credit to finance economic development. Correspondingly, the EU needs Australia both as a commercial base in Asia and as a reliable energy supplier. While Australia and the EU have strengthened their trade relations in recent years, their relationship is significantly more difficult than it is with Asia. EU tariffs—notably, agricultural tariffs—are comparatively high, and behind-the-border barriers to services markets are high too. Australia, therefore, has, in recent decades, turned to Asia. It must not, however, turn away from the EU, not only because of the importance of EU services trade and investment to Australia, but also because of the significance of the EU as a leader of world trade policy developments, which, inevitably, do affect Australia. 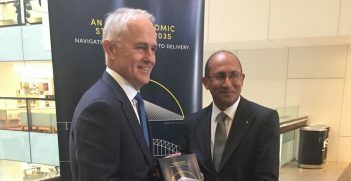 Australia, in fact, functions as a regional base for dual-listed corporations, as well as Australia–EU research and development joint ventures. At the same time, the EU is Australia’s largest source of foreign—direct and indirect—investment. EU investment stocks fund a large proportion of Australia’s manufacturing and services industries. EU corporations with an Australian presence invest heavily in the type of industries that Australia should develop if it is to depend less heavily on the always unstable commodities market. Australia, for example, affords multiple defence materiel procurement opportunities, which actively request tenders from EU government contractors. 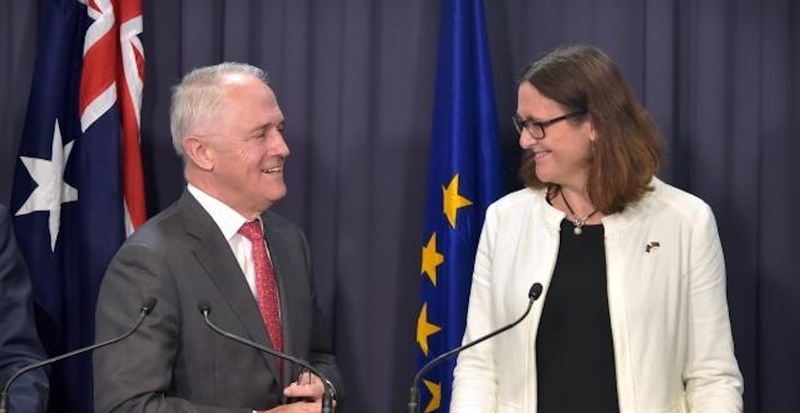 Many other Australian industries, including infrastructural projects, information and communications technology, biotech, and clean and renewable energy firms, welcome EU investment. The EU is also a major supplier of capital equipment, industrial machinery and goods vehicles, all of which are essential for Australia’s commodity industry. Importantly, Australia needs the EU’s emerging technologies to back its research and development efforts in such areas as sustainable and renewable energy and carbon capture and storage in order to develop a high value-added economy. Overexposure to China and the recent raw materials price slump show that diversification is necessary. Rural goods, minerals and fuels still comprise more than half of Australia’s exports. For that economic shift from extractive industries to manufacturing industries, Australia needs the EU. The pattern that arises from the last two decades of Australia–EU trade relations indeed points to a shift from Simply Transformed Manufactures to Elaborately Transformed Manufactures, and from unprocessed goods to processed goods. This shift has the support of the Science and Technology Cooperation Agreement between Australia and the EU, which promotes research collaboration between the two sides. The EU’s comparative advantage is its single market, an economy of scale that ‘reduces the costs for compliance and increases the potential sales area’. The EU merges 27 national economies (without the UK) into the world’s largest trading bloc: a market of over 500 million consumers. Australia, because of its geographical isolation, small economy, political stability and deference to the USA has only ever been a low priority for the EU. The approach is different now. The EU seeks to integrate ever more closely with the Asia-Pacific region, and so it is eager to partner with Australia for its close links with value chains in the region. 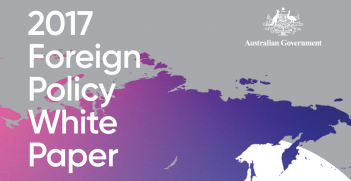 On 7 August 2017, Australia and the EU signed a Framework Agreement. This instrument is a treaty-level upgrade to their earlier declarations for collaboration: the Joint Declaration on Relations between the European Union and Australia of 26 June 1997 and the Australia–European Union Partnership Framework of 29 October 2008. The Framework Agreement covers dialogue and cooperation on economic and trade matters. It is not, however, an FTA. The Framework Agreement is no more than an agreement to agree. It is a convenient declaration of the kind of general principles that the parties would like a prospective FTA to revolve around—namely, the primacy of the WTO’s multilateral trading system. Australia and the EU will not start their FTA negotiations with a blank sheet. The two sides have made progress through the Framework Agreement and, more widely, through their collaborative work on trade facilitation for the WTO and the Trade in Services Agreement negotiations. 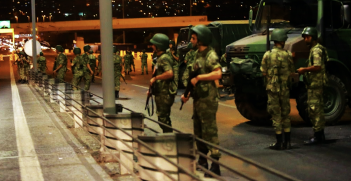 The two sides have also completed a joint scoping exercise to decide how comprehensive the deal is to be. They have consulted with stakeholders and conducted impact assessments and ex ante studies. The EU has even released its draft negotiating directives, for the first time ever. The EU’s objectives are to progressively and reciprocally liberalise substantially all trade in goods and services and foreign direct investment. Those objectives break down into separate sectors. For trade in goods, the objectives all revolve around increased liberalisation. The EU seeks to cover trade-related regulatory issues and other non-tariff barriers. It also seeks to cover rules of origin, anti-fraud measures, the management of administrative errors, customs and trade facilitation, technical regulations, standards and conformity assessment procedures, sanitary and phytosanitary measures, animal welfare, safeguards, and anti-dumping and countervailing measures. In the coverage of these various areas, the EU proposes to follow the principles of proportionality, no undue restriction, transparency, non-discrimination, harmonisation and the recognition of equivalence. For trade in services, the EU is equally ambitious: ‘the Agreement should have substantial sectorial coverage and should cover all modes of supply…other than the exclusion of audio-visual services and services supplied and activities performed in the exercise of governmental authority’. The EU hopes to cover the digitalisation of trade in services and the entry and stay of natural persons for business purposes in a spirit of mutual recognition. Other areas that the EU hopes to cover in the FTA negotiations include: the removal of restrictions to current payments and capital movements; the promotion of an adequate and effective level of protection and enforcement of intellectual property rights; direct protection of a list of GIs; comprehensive and improved access to public procurement of goods, services and public works at all levels of government and state-owned enterprises now that Australia will finally enter into the WTO’s Government Procurement Agreement; the development of competition rules against monopolies; information-sharing arrangements on market access requirements to assist small and medium-sized enterprises; labour and environmental protections in the interest of sustainable development; open trade in energy and raw materials; transparency of regulations; and regulatory cooperation. Australia has not released its negotiating directives, but its objectives are likely to be very similar to those of the EU. The Australian government’s Minister for Trade, Tourism and Investment, Steven Ciobo has stated that Australia would like the FTA to be ‘comprehensive, liberalising and ambitious’. An ambitious FTA would have a broadly positive impact on aggregate economic trends and welfare effects. The European Commission’s ex ante study of the proposed Australia–EU FTA projects positive effects on gross domestic product (GDP) for both Australia and the EU, an increase in bilateral foreign direct investment flows, government procurement gains, lower entry and operating costs for small and medium-sized enterprises, positive long-term welfare and wage effects, lower consumer prices and better consumer information. It specifically projects a stronger real GDP growth in Australia (0.20 per cent) than the EU (0.02 per cent), although, in relative terms, EU exports to Australia are likely to increase more than Australian exports to the EU. On balance, Australia and the EU would both gain from an FTA, but Australia would gain slightly more than the EU. In summary, an Australia–EU FTA has the potential to harmonise the regulatory divergences that arise from the policy disagreement over biosecurity and agriculture. For trade in goods, tariffs are generally low but behind-the-border barriers remain high, especially in relation to inconsistent safety standards. For trade in services, the non-unitary constitutions of Australia and the EU continue to make professions and trades dependent on protectionist subnational regulation. Agriculture is no longer a priority for both sides, but it still has the potential if not to block, then certainly to interrupt what should be a practical negotiation. Professor Gonzalo Villalta Puig heads the School of Law and Politics at the University of Hull. He chairs the International Association of Constitutional Law Research Group for Constitutional Studies of Free Trade and Political Economy. This article is an edited extract of his journal article titled “Drivers and difficulties in the economic relationship between Australia and the European Union: from conflict to cooperation” published in Volume 72, Issue 3 of the Australian Journal of International Affairs.